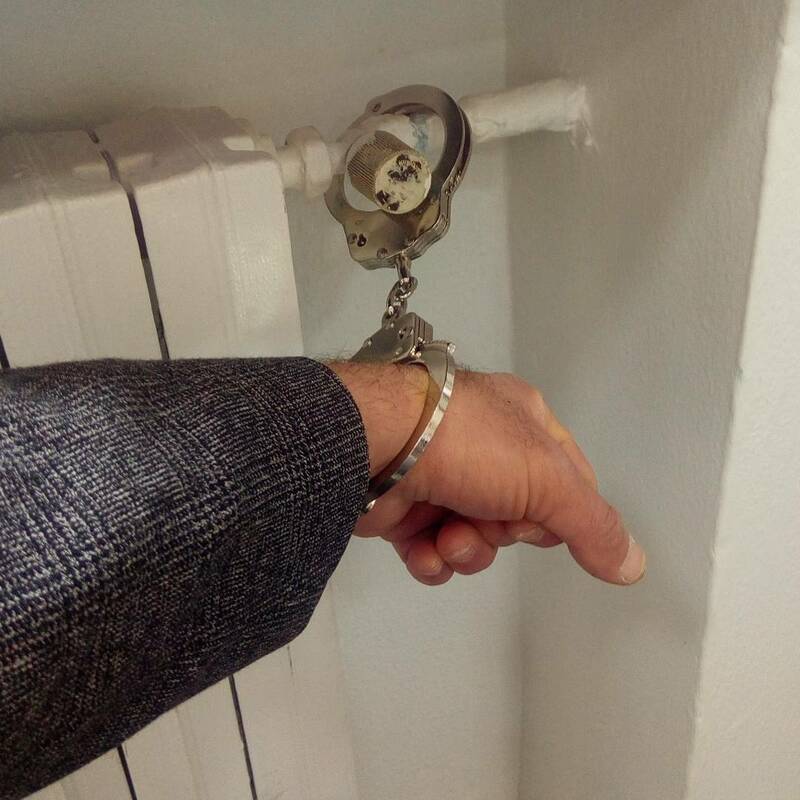 Director of CAM Museum handcuffed in the office of the Mayor of Casoria. “I’m Antonio Manfredi, director of the CAM Museum in Casoria, I just handcuffed my self in the office of the Mayor of Casoria Pasquale Fuccio who has promised countless funding for the museum but has never kept what was declared in his official visits to the CAM. I will not leave this office until the politicians and public administrators that have had visited the CAM museum in Casoria “promising and assuring” concrete help for the museum will not be here in front of me. I want to save the CAM. I will not leave this office without their presence if not arrested. I will not allow to play with a museum that fight against mafia and the social and cultural forms of violence. After so many battle asking politic Asylum in Germany, burning art works for protest, this is the last battle for save the CAM Museum”.